Yes - I am back. I decided to go ahead and make another card since I was in crafty mode!! So this time I took out one of my HA stamp sets that I hadn't really used yet, and have had for a while. 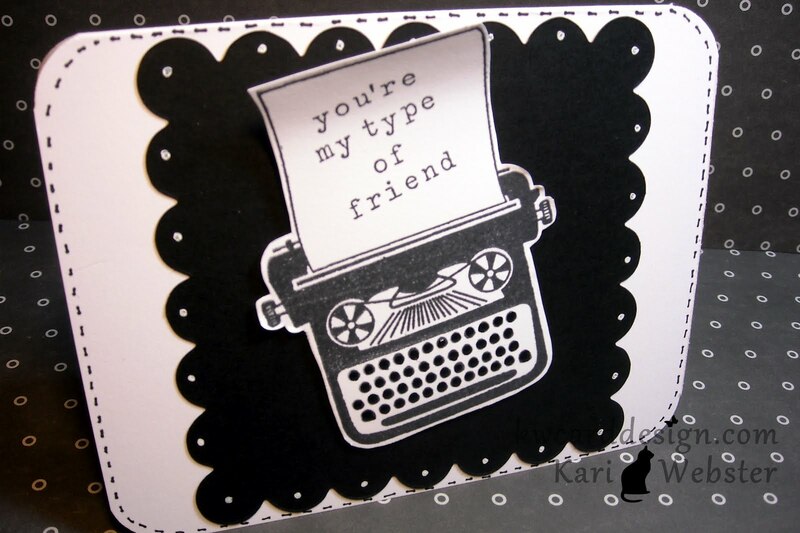 This type writer is so cute, and this set comes with three different sentiments! This one is my favorite out of all of them. 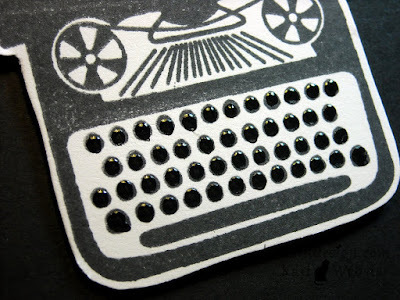 I used some black enamel accent by Ranger to bring out the type writer keys. Here is a closer look. Gives them a bit more dimension. Lovely card, great idea to gloss the typewriter keys.